How tall is Oscar Isaac? 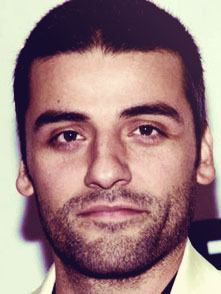 Oscar Isaac was born in Guatemala (March 9, 1979). Isaac’s mother is from Guatemala, Maria and father is from Cuba, Gonzalo Hernández. In 2002, Isaac’s acting life started with the movie ‘All About the Benjamins’ as Francesco. His next movie role was with the movie ‘Lenny the Wonder Dog’ as Fartman in 2005. Isaac’s first big roles came with the movies ‘The Half Life of Timofey Berezin’ as Shiv and ‘The Nativity Story’ as Joseph in 2006. In 2012, he played in the movie ‘For Greater Glory: The True Story of Cristiada’ as Victoriano Ramirez. Isaac’s first big break performance was with the movie ‘Inside Llewyn Davis’ as Llewyn Davis in 2013. How much does Oscar Isaac weigh? Oscar Isaac weighs 165 lbs or 75 kg.